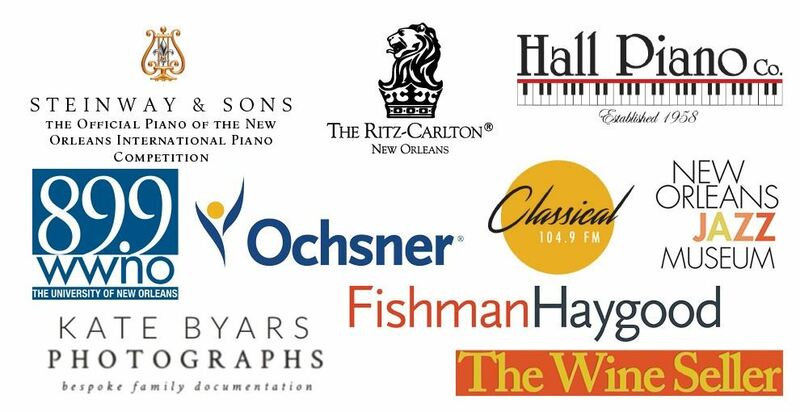 Regular Patron Tickets include a champagne reception with passed hors d'oeurvres, concert by internationally acclaimed Anderson & Roe Piano Duo, and a delicious sit down dinner at the Ritz-Carlton, New Orleans. $175 of your $250 ticket purchase is tax deductible. Support MASNO by purchasing a Table of 10 which includes regular patron tickets for 10 of your guests. Regular patron tickets include a champagne reception with passed hors d'oeuvres, concert by Anderson & Roe Piano Duo, and a delicious sit down dinner at the Ritz-Carlton, New Orleans. $1,750 of your $2,500 purchase of a Table of 10 is tax deductible. Young Patron Tickets for those 40 years and younger include a champagne reception with passed hors d'oeuvres, concert by internationally acclaimed Anderson & Roe Piano Duo, and a delicious sit down dinner at the Ritz-Carlton, New Orleans. $75 of each $150 Young Patron ticket purchase is tax deductible. MASNO welcomes the Anderson & Roe Piano Duo for NOCTURNE XVI! The Anderson & Roe Mission: To make classical music a relevant and powerful force in society. Known for their adrenalized performances, original compositions, and notorious music videos, GREG ANDERSON and ELIZABETH JOY ROE are revolutionizing the piano duo experience for the 21st century. Described as and “the most dynamic duo of this generation” (San Francisco Classical Voice), “rock stars of the classical music world” (Miami Herald), and “the very model of complete 21st-century musicians” (The Washington Post), the Anderson & Roe Piano Duo aims to make classical music a relevant and powerful force around the world. Their albums on the Steinway Label (When Words Fade, An Amadeus Affair, and The Art of Bach) were released to critical acclaim and have spent dozens of weeks at the top of the Billboard Classical Charts, while their Emmy-nominated, self-produced music videos have been viewed by millions on YouTube and at international film festivals. Since forming their dynamic musical partnership in 2002 as students at The Juilliard School, Anderson & Roe have toured extensively worldwide as recitalists and orchestral soloists, presented at numerous international leader symposiums, and appeared on MTV, PBS, NPR, and the BBC. A live performance by Anderson & Roe was handpicked to appear on the Sounds of Juilliard CD celebrating the school’s centenary. Highlights of the 2017/18 season include concerts throughout North America (including their Kennedy Center debut), Europe, Asia, and New Zealand; concerto appearances with the Vancouver Symphony Orchestra, San Francisco Symphony, and Rochester Philharmonic; the release of their latest album, Mother Muse; and webcast hosting for the 15th Van Cliburn International Piano Competition. More at www.andersonroe.com. *Dinner: We are offering our Nocturne guests 3 entreé selections for the sit down dinner following Anderson & Roe's concert. Choices are roasted chicken, a seared fish filet, and vegetarian. We ask that our guests make their selections for everyone in their party by November 23. Please send your selections and any other menu or seating requests to Elissa Bluth at ejbluth@yahoo.com by November 23. If no selection is made, the roasted chicken entreé will be served.